[CES 2009] Samsung Booth Highlights | OhGizmo! Anyone want to count the number of TVs in that Samsung display? They look all blurry to me, but that’s probably due to a combination of lack of sleep, electronics overload, and cheap booze. $1 beers FTW! Anyway, it’s a lot of TVs. 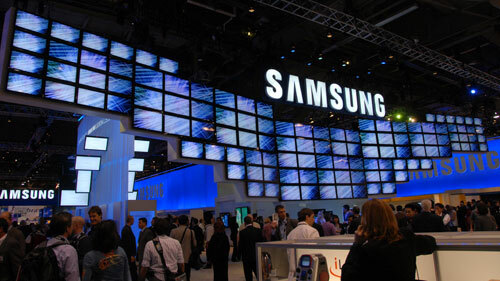 Last year it was all about size, this year it’s apparently all about quantity… All the big names have about a hundred vaguely different TVs on display, and Samsung was certainly no exception. Dynamic 3D TV. 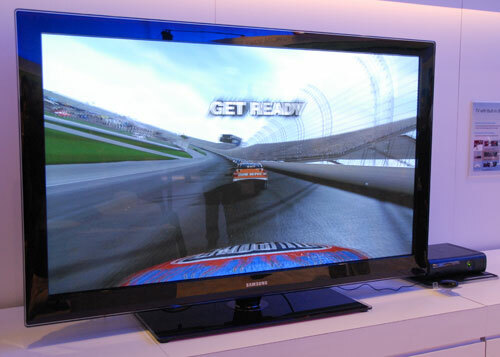 A chip inside this TV is able to take 2D high def video streams (like from an Xbox 360), analyze them for relative perspective and motion, and then modify the video to give it a faux-3D effect, all in real time. Basically, it turns everything 3D. Of course, there is no 3D data contained within the 2D stream, so the TV is basically making it all up. I tried it out; there are some disconcertingly weird things going on if you look closely, but overall, it’s quite a convincing effect, at least with something as straightforward as a racing game. I bet the quality of the effect degrades quickly in complex virtual environments. And, you have to wear special glasses. Blech. But a very cool feature nonetheless. No production plans at present. 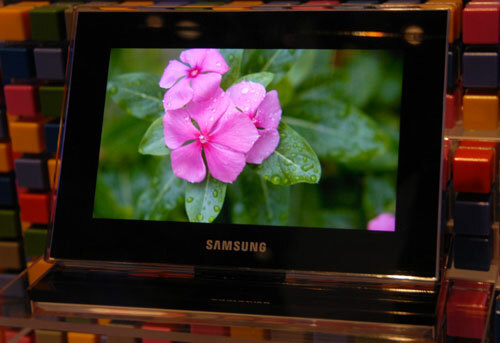 OLED digital picture frame. Gorgeous, as all OLED displays are. No production plans. 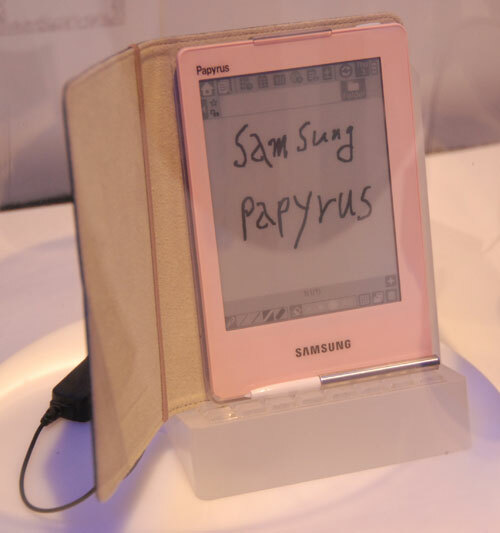 A prototype Papyrus e-diary, part of Samsung’s plan to “eliminate paper,” a rep told me. On display right next to their new lineup of printers. No production plans. i counted. theres 107 and a half.